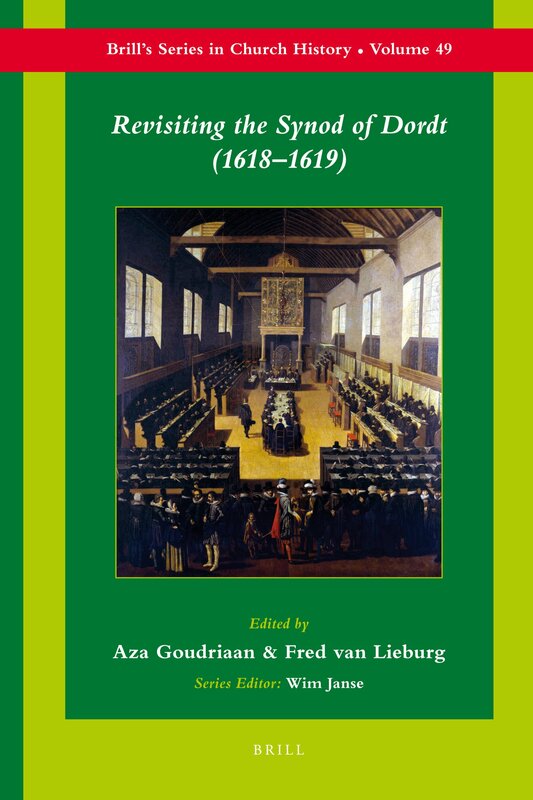 A review of Aza Goudriaan & Fred van Lieburg (eds. ), Revisiting the Synod of Dordt (1618-1619). 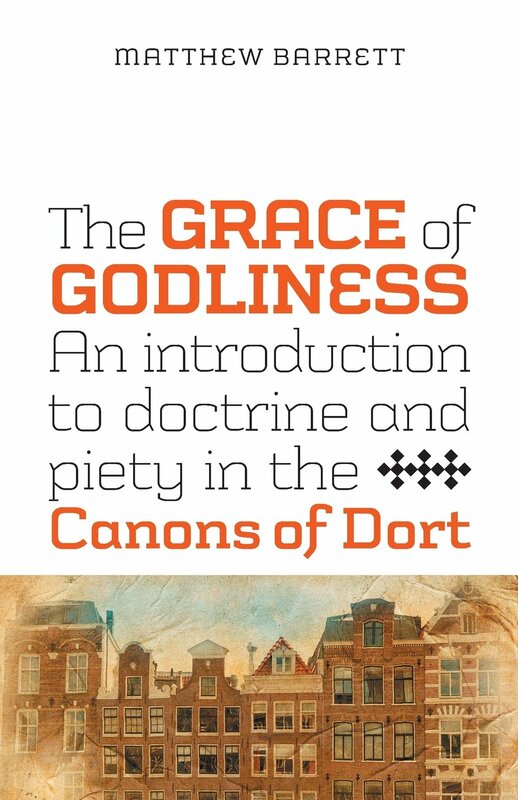 Revisiting the Synod of Dordt is an expensive academic symposium of 16 chapters, covering the background to the Synod, the theology of Arminianism, the sources for our knowledge of the Synod’s inner workings, the influence of key theologians upon it, and various aspects of the Canons of Dordt, their drafting, teaching, and pedagogy. It is an extremely useful, much needed book for scholars of the period and of this crucial event. The highlights of the volume for me include a superb analysis of the “distorting mirror” of the Hales-Balcanquahall letters, by Anthony Milton. These letters form a contemporary English account of the inner workings of the Synod, but they must be handled with care because of the inherent biases within them and certain important omissions, as well as the anti-Calvinist agenda behind their original publication. Still, Milton does a great job of showing how these important documents can provide us with fascinating information about the angry exchanges on the floor of the Synod, about which the official accounts are unsurprisingly silent. The deep engagement of the British delegation at the Synod is also brought out nicely, and there is a chapter on James Ussher’s background influence. There is also a brilliant exposition (alone worth the effort of getting the book out of a library) by Robert Godfrey on the mode of teaching adopted in the Canons of Dordt, where he shows how they were deliberately written in a popular, accessible style rather than with a scholastic accent. One article within each of the Heads of Doctrine seems to have been written as a summary Reformed answer to the Arminians, but as a whole they tend to move from unexceptionable, “catholic” truth, by stages into a more thorough Reformed account of each doctrine, in a pastorally-sensitive way. “Reformed distinctives are the proper development of catholic theology,” was the impression this intended to make. Donald Sinnema also provides a magisterial study of how the Canons were drafted, though we eagerly await the full publication over the next few years of the definitive critical edition of all the documents and papers of the Synod. In the meantime, this volume is the essential go-to guide for all things Dortian. This review first appeared in Churchman 128/3 (2014). A review of Barry Waugh (ed. 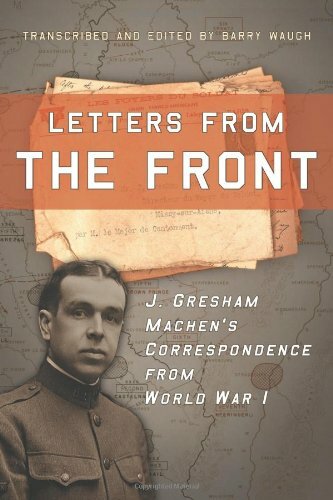 ), Letters from the Front: J. Gresham Machen’s Correspondence from World War I.
John Gresham Machen is best known as one of the prime instigators of the Fundamentalist-Modernist controversy in the United States during the 1920s. He was the author of the classic Christianity and Liberalism, and founder of both Westminster Theological Seminary in Philadelphia and the Orthodox Presbyterian Church. What is less well-known is that before he entered the General Assembly of the Presbyterian Church to begin his great struggle there, he had been a humanitarian non-combatant volunteer serving with the YMCA during the First World War. In a labour of love, Barry Waugh has transcribed, edited, and annotated Machen’s correspondence from January 1918 to March 1919 (because, as Fowler in the film Chicken Run tells us, “The Yanks turn up late for every war”). He was stationed in France and saw five sectors of the front around Aisne, Lorraine, Argonne, Woëvre, and Belgium from the Germans’ Michael Offensive until well after Armistice Day. There were no openings in the chaplaincy service when Machen offered his services there, and so rather than enlist with the ambulance corps (which may have led to him being reassigned to munitions transport, which he didn’t want), he ended up serving with “the Y”, despite some serious theological misgivings about their “generic Christianity.” His role consisted mostly of selling hot chocolate, snacks, candles, tobacco, toiletries, and stationery in YMCA huts, of which there were about 1500 by the end of the war; places of rest, entertainment, and refreshment for war-weary troops, away from the horrors of the trenches. It is at times a charming experience to read of this voyage of adventure, and at times a rather bizarre one. To picture Gresham Machen, for example, on a rocky sea-crossing lecturing YMCA men about the state of New Testament criticism is surreal, but “some of the men appeared to be interested” he tells us! “At any rate, I am glad of the opportunity.” Later he describes chatting with an Italian Count and brushing up on his French. Once in Paris, he tells his mother that it is far less terrifying than he had anticipated (despite the occasional air raid or bombardment) but the food is not so good. It is not the most harrowing of war diaries. There is some excitement as a gas attack and the death of a man nearby bring the realities of war closer to home for the scholar. He would be forced to flee from the advancing Germans at the end of May 1918, and lose his personal belongings. He also faced a constant war against rats. But it is some of the religious elements in his story that stand out. At one point Machen tells his mother about a service led by the regimental chaplain, who was Roman Catholic. The general service was “frankly supernatural” (rather than giving a naturalistic interpretation of the feeding of the 5000), and “the moral exhortations were good.” He concludes, “I was pleased with the service. It was far, far better than what we get from the Protestant liberals.” At another point he expresses his admiration for the nuns who cooked and cared for American soldiers. There is some Bible teaching amongst “the men”, but not much. He complains, “there are lots of men, if only we could get at them, who would welcome not only Bible teaching but the kind of Bible teaching that I like myself.” But no-one is interested in bringing him into contact with such men. Indeed, Machen was later recalled to more of an office job, after HQ heard that his “addresses were above the heads of the men.” But he was clearly longing to get home by that point anyway, or to rummage around in the bookshops of Strassbourg for German books. All in all, this is a fascinating experience if you have had previous encounters with Dr Machen in his titanic battles against liberalism and might enjoy discovering more about the earlier life of the fiery secessionist. But otherwise, for those to whom Machen is just another name from a far-off, long-forgotten theological tiff, this is not going to open your eyes in any massively significant way to the War, or give you an especially theological reflection on it. There are some touching vignettes, such as when he gave hot chocolate to an appreciative German, and saw a wounded American soldier give his coat to a wounded German soldier (“along with the hatred and bitterness incident to the war, there are some examples of the other thing which like fair lilies in swampy ground are all the more beautiful because of the contrast with the unlikely soil in which they grow”). It’s not Siegfried Sassoon or Robert Graves or Wilfred Owen. Machen did his bit. But if he did consider the bigger realities and perplexing agonies of the war in any deeper, more profound way, perhaps he just did not feel able to share his meditations on it with his anxious, distant mother? 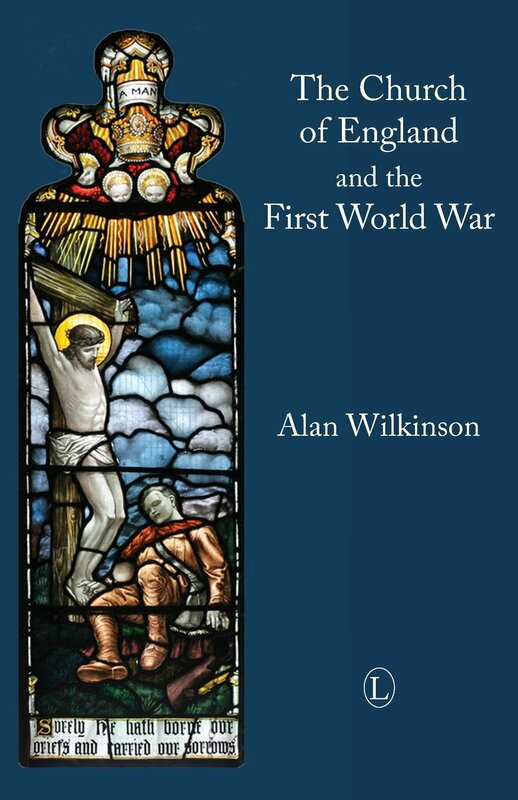 A review of Alan Wilkinson’s The Church of England and the First World War. It will not have escaped anyone’s notice that 2014 marked the 100th anniversary of the start of the optimistically named “war to end all wars”, which we now know as The First World War. The history, the politics, the culture, the societal impact, and the personal tragedies are being dramatised and serialised in quite a number of TV and radio specials, and in countless commemorative books. This book by the former Principal of Chichester Theological College is a reprint of a work which was first published in the 60th anniversary year of the end of the Great War, and subsequently in a second revised edition in 1996. This new issue is not a further revision or update, though there is a helpful page listing seven books on the subject which have appeared since the second edition, and a short new preface. Rather, it is a timely re-publication of an important work on a subject of topical relevance for the next few years, as we enter a quinquennium of remembrance. On the other hand, he makes great use of more liberal and Anglo-Catholic periodicals. Nevertheless, Wilkinson’s was the first full-length study of the Church’s role in relation to the hostilities to appear in England, and although there have since been some in-depth explorations of the role of military chaplains in particular, this remains the leading work in the field perennially referenced by all the others. Wilkinson’s study is predicated on the basic tenet that the church is a tragically compromised institution, so often powerless and ineffective. Clergy had presented previous wars as a solemn national duty or a well-deserved divine punishment, as righteous crusades or as human folly through which God could work to rouse us from selfishness and complacency. But, Wilkinson says, “The Christian tradition of interpreting specific events as revelations of divine providence received a fatal battering during the two world wars, and the Churches are now notably reluctant to venture in this field.” Bereavement drove many people to despair or to spiritualism or at the least to prayers for the dead, and Anglican chaplains and clergy were largely ineffective in sharing the gospel and leading people to real hope in Christ. There is an Anglo-Catholic feel to the book itself. There is a stained glass image of a dying soldier touching the feet of Christ on the cover (featuring a text from Isaiah 53). And on the first page there is a picture of a priest celebrating a requiem mass for a throng of soldiers, and others going back even to the crusaders, pictured hovering above the altar (“The Place of Meeting” by T. Noyes Lewis). Roman Catholic theology of “last rites”, the reserved sacrament, and prayers for the dead did well out of the war, of course, and there were not enough “Woodbine Willies” to hold out the more solid truths of the gospel. The pseudo-poetic final paragraph which ends in an actual poem by Eliot is ultimately deeply unsatisfying: “It is the greatness of Christianity at its best that it affords no easy answers,” he assures us. The war aroused such hate and malice that it was exceedingly hard to penetrate the anger and fog with the gospel’s message of love and peace. Yet without the great (easy?) certainties of our faith — human depravity, the gracious mercy of God in Christ, and the final judgment for all — it is impossible to make sense of the world at all, including its wars. It is the great tragedy of the last century that despite limitless proof of the first of these three simple truths (human depravity), so many failed to turn to God for the second (salvation in Christ). Are we fated then to further rounds of conflagration before the third and ultimate truth hits home? The current geopolitical instability is profoundly unsettling, so this study of how the Church of England met (and did not meet) the challenges of the First World War has within it a provocative summons for us to ponder our own readiness for battle in the coming centenary years. 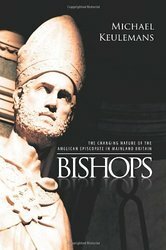 A review of Michael Keulemans’s book Bishops: The Changing Nature of the Anglican Episcopate in Mainland Britain. We are not blessed with a wealth of books about bishops, their function and role, or the history of the episcopate in the Church of England. We are however blessed with more bishops today than ever before. A few years ago The Times referred to it as “episcopal inflation”, noting that the more than fourfold growth in the number of bishops since 1850 had occurred at the same time as the average Sunday attendance has plummeted dramatically. They concluded that we had moved from one bishop per 115,000 people in the pews on Sunday to one bishop per 8,000. Moreover, debates about the qualifications for episcopacy have recently been somewhat controversial, we might say. So this book, arising out of the author’s D.Min. research, is just what we need to take a step back and try to assess what is going on. Keulemans looks first at the historic development of the episcopate, from the early church, through the middle ages, up to “the creation of the classical Anglican bishop” at the Reformation. With a chapter on Victorian developments, he then surveys the changing nature of the English scene from 1905 to 2005. Additional chapters cover Wales and Scotland. He also did extensive research amongst bishops themselves, and gives us a flavour of his statistical survey and some of the bishops’ own views about the subject. There are several very helpful charts and illustrations. It is not entirely true that conservative evangelicals would as a whole be content without bishops, as recent enthusiastic commitment to GAFCON shows, as well as the initiatives of AMiE which has a role for bishops. Church Society has called again and again for more bishops loyal to conservative evangelicalism to represent and serve the Church, and General Synod promised many years ago to try and make that happen. Yet the fact that the Church of England has consecrated only one conservative evangelical bishop of “complementarian” views since 1997 (a suffragan, and he has now retired) is not especially encouraging. Keulemans has perhaps put his finger on one of the reasons why, if the Church really means this constituency to flourish within its bounds in the future, it has a long way to go (beyond mere tokenism) to restore credibility and confidence on this score. The book traces some of the more interesting changes in the episcopate over the twentieth century, such as social class, education, and age. By 2005, of those who replied to the author’s survey, only a small minority had attended comprehensive schools, but the number of Oxbridge graduates on the bench had dropped significantly. None had been elevated directly from a parish. A large majority (71%) had been appointed in the 45-54 year old age bracket, a dramatic rise in that demographic since 1905. Keulemans also examines recent developments in the Crown Nominations Commission, its relationship to the Prime Minister, the new consecration liturgies of Common Worship, flying bishops, and the increase in the number of suffragans. The survey of bishops is quite fascinating, and a must-read to understand how the current bunch see themselves and their role (“focus of unity” being top of the pile of answers of course, with little sense of irony). Bishops seem very keen on attending national events and secular public events, but Keulemans startlingly reveals that the laity he surveyed were much less keen on the idea of bishops spending time on these things, especially the secular, civic occasions (their top priority was that bishops should teach and defend the faith). He also finds that more laity consider the parish as the basic building block of the church than bishops, who of course favour the diocese as the true church (and perhaps, as Vatican II puts it, value local congregations only as “lesser groupings of the faithful” which should revolve more around them in their cathedrals). So a valuable volume in more ways than one, with a wealth of insights into the perception of and true nature of episcopacy today. However, although one may disagree with some of Keuleman’s history or theological conclusions about bishops and their essential nature, his recommendation at the end deserves a wide hearing and a thorough discussion. We must abandon the large dioceses of the old Saxon kingdoms, he suggests, and transform deaneries into small dioceses. That is, let us not have fewer bishops, but even more, but with a more circumscribed remit and local focus (with many bishops remaining local parish ministers, on the same stipend but with additional admin support). This is Archbishop Ussher’s Reduced Episcopacy idea from the seventeenth century, essentially, and should now be seriously re-considered as a matter of pastoral urgency and administrative good sense. A provocative and timely idea from a man who knows what he is talking about on the subject of bishops, but who must also realise that it is very difficult to persuade people with power and prestige to water it down or give it up, however compelling the reasons might be. 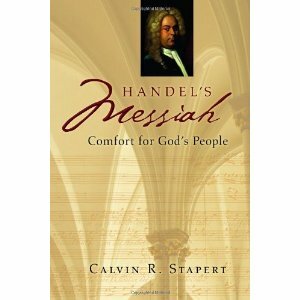 Calvin Stapert, professor emeritus of music at Calvin College in Grand Rapids has produced two very attractive books on Handel’s Messiah and on Joseph Haydn. Praying before the Lord: The Life and Work of Joseph Haydn is a lovely survey of Haydn’s life and work, which will appeal to those who appreciate the Sturm und Drang of his symphonies and want to learn more about the man behind the beautiful Creation (which has its own Appendix). Handel’s Messiah: Comfort for God’s People is a superb book, a well informed yet very accessible guide to the historical background and reception of Handel’s great masterpiece. The best part is a scene-by-scene, track-by-track commentary on the music itself, including parts of the score, which will bring it even more to life the next time you listen to it. This is brilliant, and helps tease out the theology from a timeless classic. One to give to the musos and culture vultures perhaps, to start an evangelistic conversation? This review was first published in Churchman 128/2 (2014).